If you're a planner girl, then you most likely adore the idea of decorating your planner and making it 100% your own. Am I right? One way I love to decorate my planner is with die cuts. 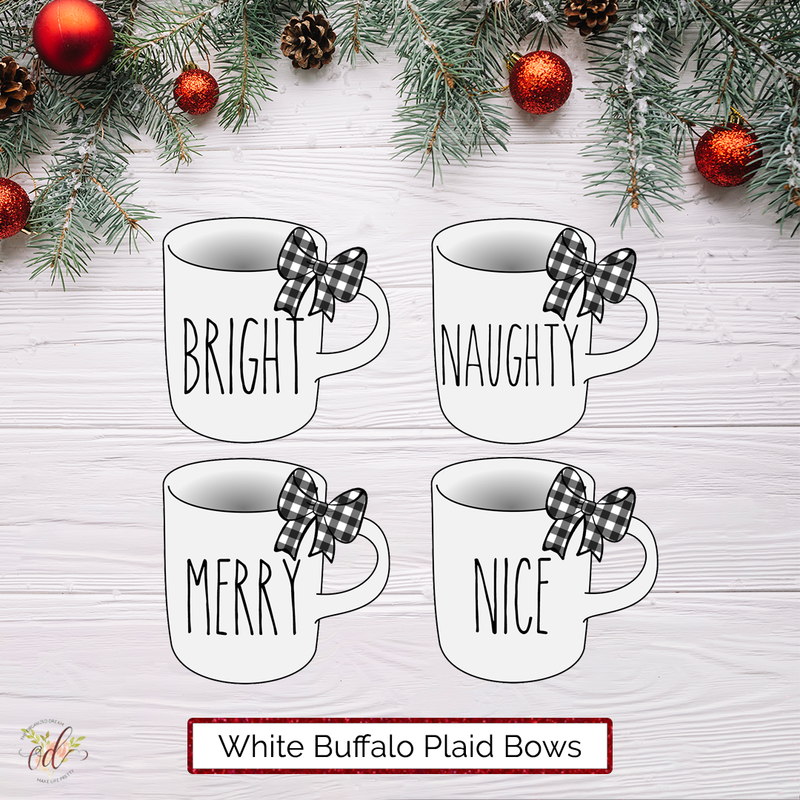 They're perfect for adding to a paperclip to make a bookmark, you can tape it to your dashboards with your favorite washi or simply slip it into a pocket for something pretty to poke out at you. 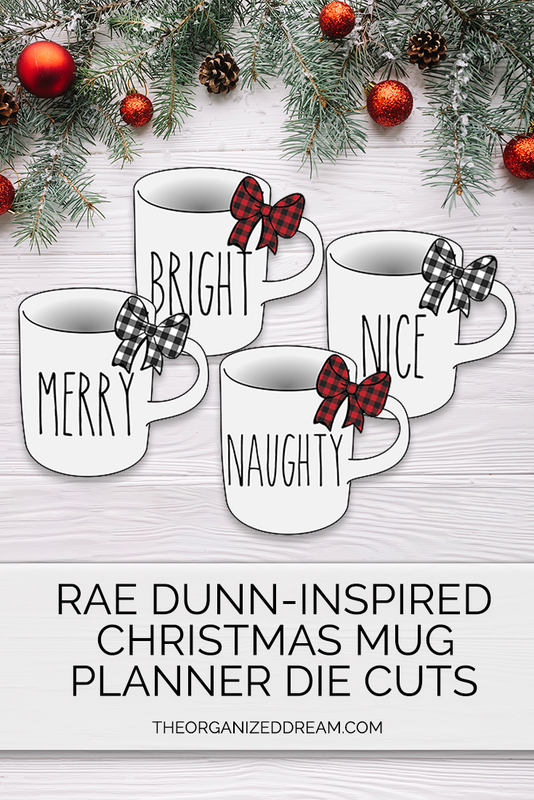 Now, if you're a Rae Dunn fan, I have a special something-something just for you! I've taken my Rae Dunn die cuts that were already available in the shop and added some Christmas charm. There are 4 different words to choose from and two different buffalo plaid style bows as well. They''re sized to a nice, big 4"x4" size so they'll look great anywhere your heart desires to stick them. Please read the item details to the listing. It will tell you how to order your die cut. 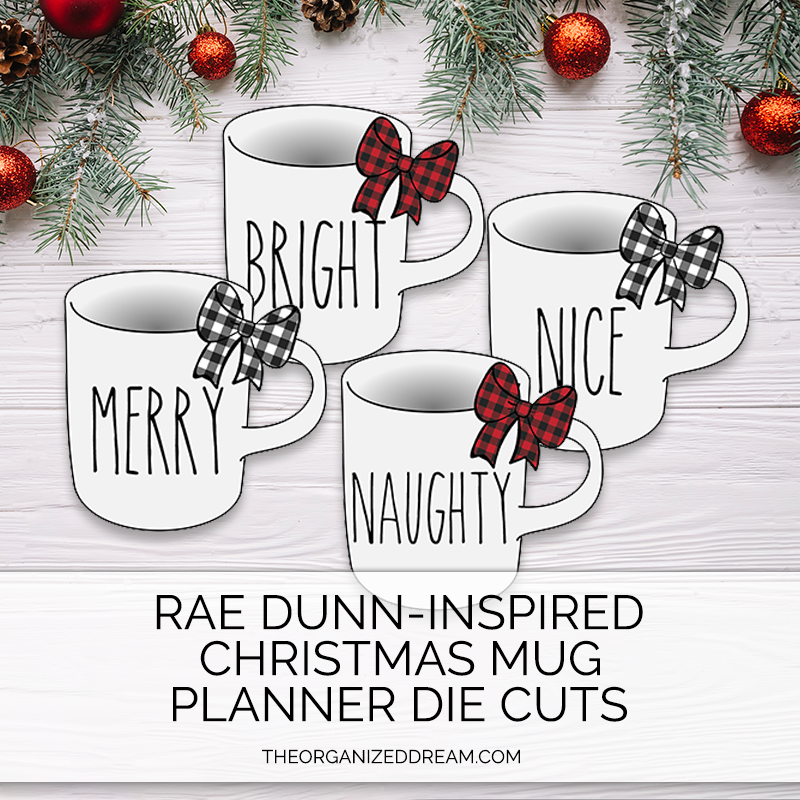 Don't forget to check out my original Rae Dun-Inspired Mug Die Cuts that you can personalize with your name or word and the rest of the listings available in our shop! You can find the listing to these pretty Christmas die cuts below the images! Spend $5 in the shop and choose any 1 of these die cuts free! Simply leave your choice in the comment section of your shopping cart before purchase and I will email it to you! 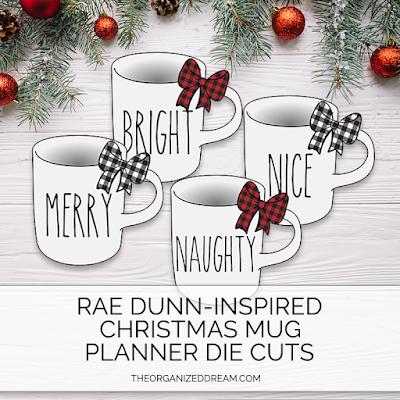 Refer to the Rae Dunn Christmas Mug Die Cut listing for more information! Offer ends 11/21/18.